A man has been found dead after apparently committing suicide just a few minutes after he was seen in public. 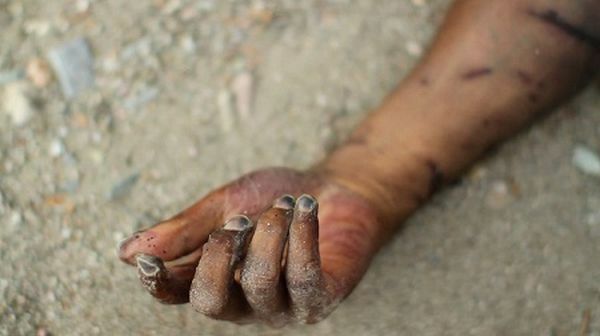 It was pure confusion that took over the Gangansi area of Ibadan, the Oyo State capital on Wednesday night after a fifty-year old man simply identified as Abass was discovered to have hanged himself in his elder brother’s house in which he was residing. According to Daily Post, it was gathered that the incident, which occurred around 7:30 p.m., got the people around the community really bewildered because the man was seen in public just a few minutes before he was discovered to have taken his life. Abass, according to a resident of the area, was a gentleman and a commercial motorcyclist. The resident, who asked not to be named said, “He has children, both male and female, but his wife is not currently with him. He is in his early fifties. He was living here with us, and this house was built by his brother. “All we know was that he came back home hale and healthy yesterday evening, but suddenly someone shouted when he saw him dangling from the ceiling of the house. It was the person that alerted us to the ugly incident. “On getting there we saw him up there, but we noticed one small paper beside him. We took it up and saw that he left a note where he wrote that he intentionally committed suicide because of too much debt he owed people”. Daily Post reports that as at about 9.30 a.m. on Thursday, the body was still hanging on the ceiling but nobody was allowed to enter the building. Some elders and landlords were seen having a meeting with some traditional herbalists who were demanding sacrificial materials to be used in appeasing some gods before the dangling body of the man could be brought down for proper burial. However, all efforts made by Daily Post to get reactions of the state police command spokesman, Adekunle Ajisebutu, proved abortive as SMS sent to him to react to the incident was yet to be replied as at the time of filling this report Friday morning.